Additional Information: Who were the Plantagenets? Eligibility for membership in this Society is based upon lineal descent from one or more of the Plantagenet Kings of England. Plantagenet was the surname used by the Angevin House, which succeeded to the throne of England in A.D. 1154 in the person of Henry II, who ruled until the deposition of Richard II (1399). The houses of York and Lancaster, which succeeded, being descended from Edward III, are generally included in the Plantagenet Line. (4) To provide for the preservation of family descents. 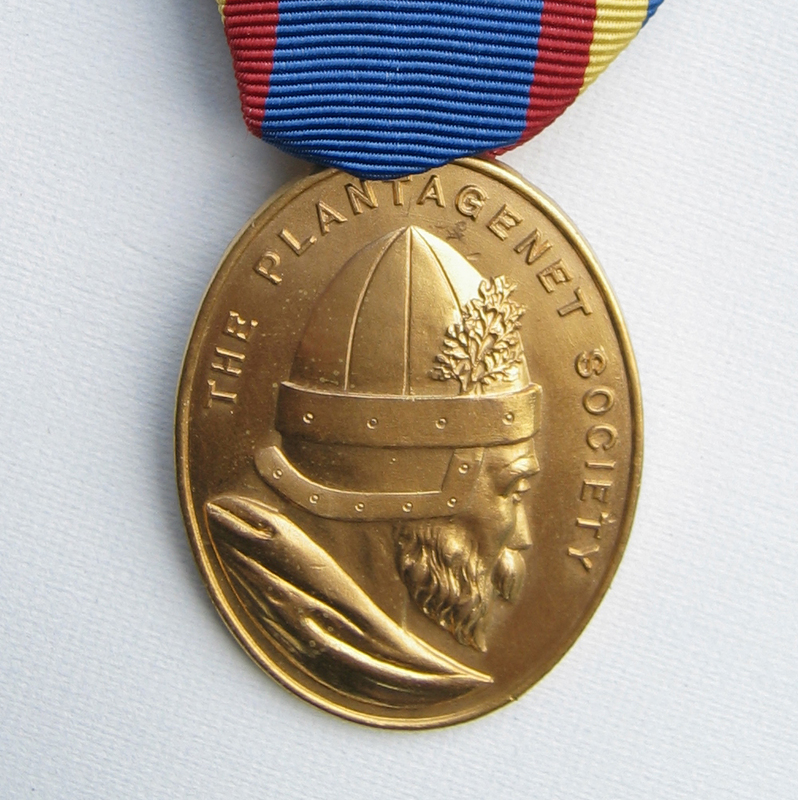 (a) The official insignia of the Society shall consist of a formal emblem, displaying in an oval a representation of the head of Geoffrey Plantagenet with broom corn in helmet, all of gold and pendant from the Society's ribbon. b) Standards and flags of the Corporation shall be such as may from time to time be authorized by the Chancellor and may employ any appropriate design.